Several hundred San Mateo property owners will be required to purchase flood insurance after the Federal Emergency Management Agency revised its flood zone map. San Mateo Public Works Director Brad Underwood said while there is a severe drought now, an El Nino is expected to deliver heavy rain this winter. "It's possible we could see flooding," Underwood said. 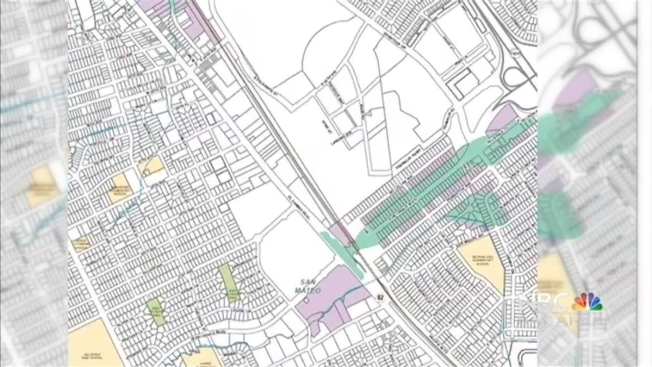 The revised flood zone map considers risk along Laurel Creek. Resident Fred Kessler owns a home near the creek and is stunned that his property was included in the flood plain. "It's frustrating because we've never had a flood and we're in a drought," Kessler said. Kessler is one of 270 property owners included in the new FEMA flood zone map. Property owners will now have to purchase flood insurance, which can cost thousands of dollars a year. "We got that letter that said if we purchase before July 16 it might be cheaper for a year, then it might go up again," Kessler said. "Not happy about it." Officials said there are about 2,000 homes in San Mateo already on the map. The new flood map becomes official on July 16. City officials said if homeowner do not get flood insurance it is likely their mortgage lender will eventually require them to get it.